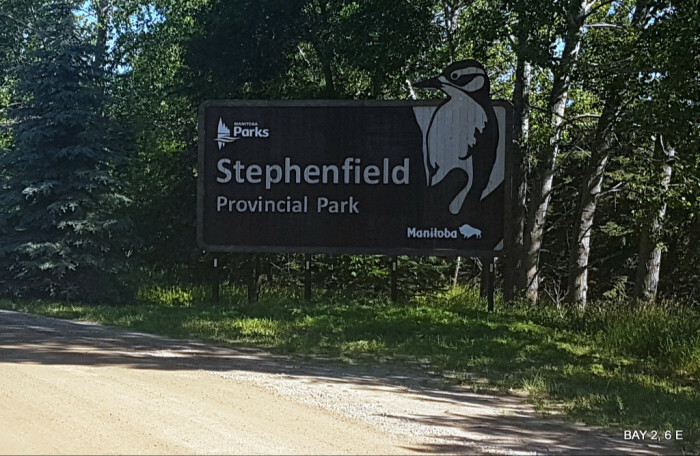 Ask fellow campers about "Stephenfield Provincial Park - Stephenfield Campground" and nearby attractions. 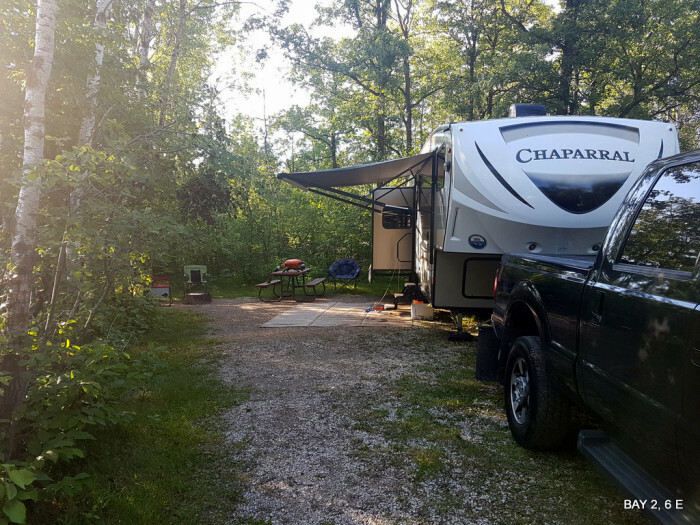 Nice Manitoba Provincial campground. Kinda in the middle of nowhere, this was our first visit and most likely the last. We had read (else where) that this was a dog friendly area .. not so much. Hot as it was this past Canada Day long weekend - no place for the dogs to go swimming. Having said that the sites are private (we were in Bay 2 S 6E) and could barely see / hear our neighbours. 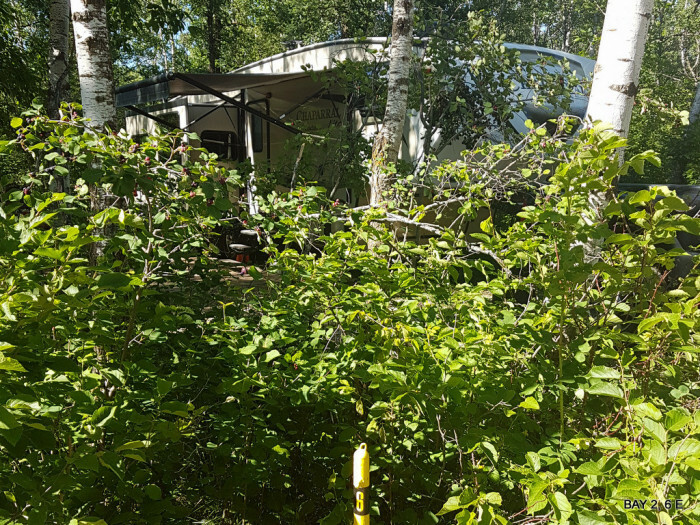 Our particular site was a "bear" to back into with our34 foot 5th ...... combination of branches / trees / opposite site markers and moderately narrow roadway. Got it done - not much funthough. 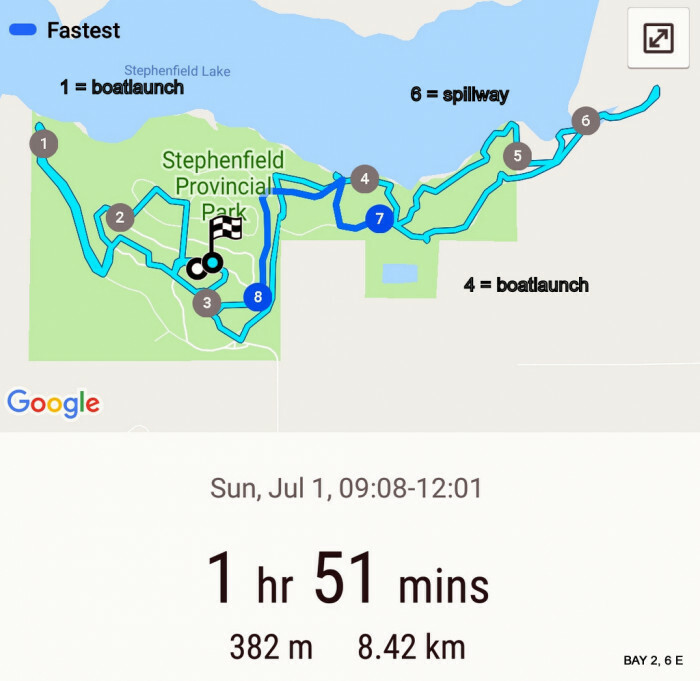 If you like walking trails - this is the place for you, many / many trails and a nice walk along the lake as well (boat launch's [x2] and dock were crowded so hot dogs could not swim). 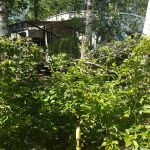 IF we do come again we will opt for the hard to get electrical and water sites - we were supposed to be less than 150 feet from water [I have lots of hose - but not that much] .......but in reality we were more like 200 + feet from the faucet. 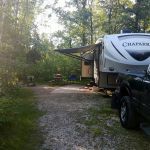 We camped at Stephenfield Provincial Park - Stephenfield Campground in a Fifth Wheel. 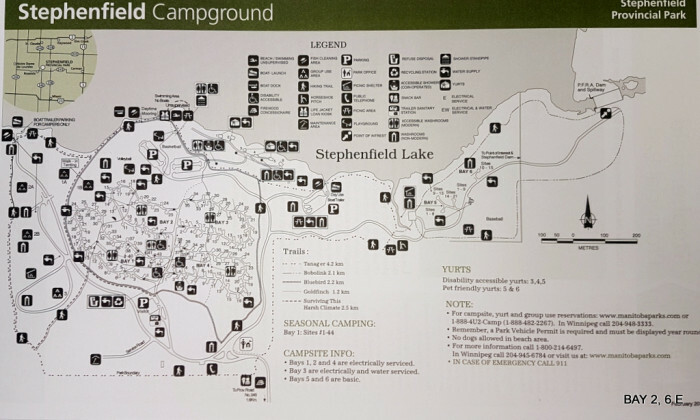 If you walk about - you can't access the spillway from the campground (south side of the lake) I appears there are stairs to go fishing and under the spill way from the north side ,,, don't know how to get there though. 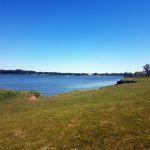 This park is off the beaten path and somewhat isolated out in the country. For us, that's a good thing. The sites are well-spaced in thick woods so it is hard to tell if anyone else is around. 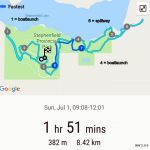 It wasn't very busy in mid July. The most interesting thing here is the large flock of wild turkeys that roam through the campground. The attraction here is the lake and fishing. It made for a very pleasant and secluded overnight stay. 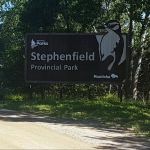 We camped at Stephenfield Provincial Park - Stephenfield Campground in a Motorhome. 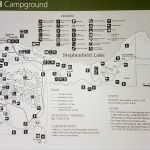 Are you affiliated with Stephenfield Provincial Park - Stephenfield Campground ?